After the Declaration of Independence, Britain realized that the few battles they had been dealing with in America were becoming much more serious and sent a significant amount of troops to stop this rebellion. Most of the world felt like the Americans had no chance against the biggest Empire in the history of the world. While the British had a solid army and the best navy in the world (by far), the Americans had an undisciplined militia with very little experience in the type of battles that were coming. 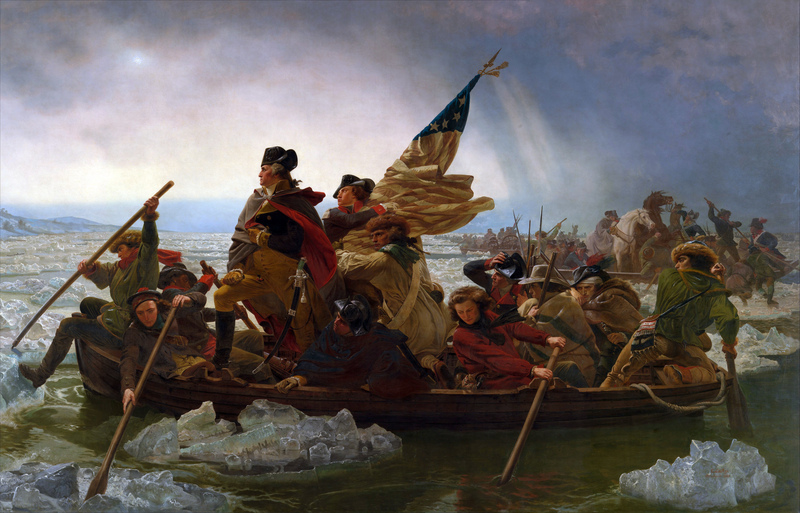 Aside from the leadership of General George Washington, the most important advantage the Americans had was that they were fighting on their own lands and for their own families. The British, on the other hand, were in a large, distant country that they didn’t know well, and was both colder (in the winter) and more humid (in the summer) than they were used to. The most difficult issue would be the sheer distance the British had to deal with to send troops and supplies to the Americas. They spent a great deal of their time and energy trying to send people and supplies from England. These aspects would cause great strain on the British which would lead to relatively low morale as opposed to the American troops. The major turning point for the Americans was making other countries believe they had a shot at winning this war. Other countries were extremely hesitant to help the Americans because they figured they would waste their money on a battle that the Americans couldn’t win. This all changed after the Battle of Saratoga (New York)(1777) when the Americans won a decisive battle that people didn’t believe they could. After this battle a number of countries would agree to help the US including France, Spain, and the Netherlands. Most historians contend that the Americans could not have won the war had it not been for the great deal of help the French provided for us during this war. Aside from the monetary loans and supplies they sent to us, they also attacked the British in many places around the world to support us. These attacks forced the British to divert troops to other places in order to protect themselves from attacks worldwide. Without these troops, the Americans would have a much better shot at defeating the British than they had before. This battle would quickly turn into a War of Attrition, in which the Americans tried to outlast the British. The amount of money that it cost to continue sending supplies from England was becoming more of an issue to the British people over time, and the US felt like they would eventually decide it wasn’t worth the effort. This tactic did show promise after the British Whig party started speaking out against the war in Parliament as, among other things, a waste of resources. After the Americans won a large victory at Yorktown (1781), the British would start to prepare for the idea of a peace treaty with the Americans. Yorktown would become the last of the major battles of the war, although there was scattered smaller battles while peace was being negotiated. The Paris Peace Treaty (1783), which was mediated by the French, would officially end the war in terms that were favorable for the US. The US would officially gain all of their land from the British and would force the British to officially recognize the US as an independent country. Most importantly this was the first time in recent times that colonists broke free from a monarch. A concept that would be used increasingly in the next few decades all around the world.